If you carried it in, please carry it out." Your membership in the Hazen's Notch Association makes it possible for us to maintain these trails for your use. The Hazen's Notch Association is a non-profit conservation organization located in montgomery center, vermont. The HNA provides environmental education programs for schools, conducts a Summer Camp for children, maintains a network of trails for Cross Country Skiing, Snowshoeing and Hiking on 2,500 acres of land and serves as a local land trust. Your membership in the Hazen's Notch Association supports our work in conservation, environmental education, recreational trails, scientific research and stewardship of natural resources. 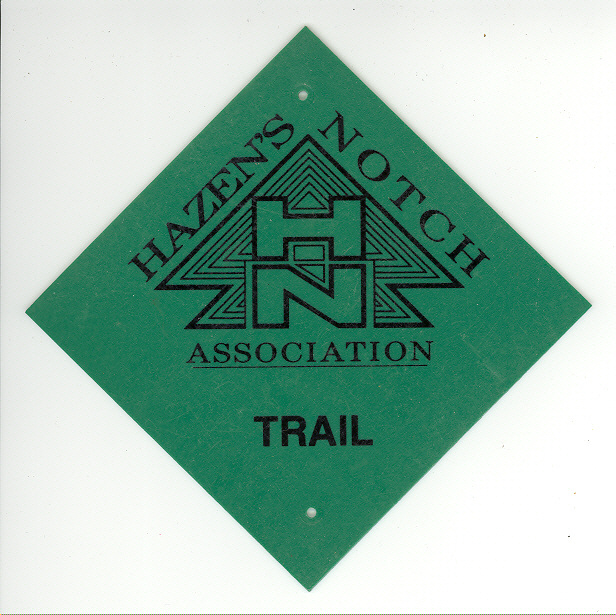 The Hazen's Notch Association maintains a network of 15 miles of trails and woods roads for hiking in Summer and Fall. These are part of a larger network of 40 miles of trails that are maintained in Winter for cross-country skiing and snowshoeing in the Hazen's Notch/Jay Peak area of northern Vermont. The trails pass through a variety of interesting habitats that include meadows, forests, orchards, and beaver ponds. Trails range from restored woods roads that have gentle to moderate grades to narrow footpaths with steep climbs. There are numerous splendid views of the Jay Mountains in addition to the incredible beauty of the wildlfowers and wildlife that one sees along the trails. Pack a lunch and water as you will find several picnic tables at popular destinations such as the Moosewood Ponds, the High Meadow, Little Rock Pond and Bear Paw Pond. Bring a camera and/or binoculars. Most of the photographs on this website were taken while walking, skiing and snowshoeing on the Hazen's Notch Association trails. See below for information about Trail access & Parking, Suggested Hikes, Rules of Use, Travel Directions and a Locator Map. or from the entrance to the Bear Paw Pond Area. from the High Ponds Farm. Closed: Notch Trail, Sunset Ridge Trail + Lower Window Rock Trail, Upper Window Rock Trail. is Saturday + Sunday, November 9 + 10, 2019.
in the Hazen's Notch Area to town roads. even on lands posted against hunting. Monday through Friday Nov 11 to Nov 15.
starts at daybreak on Saturday Nov 16, 2019 and lasts 16 days, ending at sunset on Sunday, December 1, 2019. Hikers: A 200-acre area on Burnt Mountain has been posted against trespassing by the landowner. There is no access to trails beyond the High Meadow. Closed: Beyond the back of the High Meadow, Notch Trail, Sunset Ridge + Window Rock trails. The Welcome Center is a good place to begin if you would like to obtain information before starting out on your hike. In Winter the Welcome Center is staffed from 9-5, 7 days per week. In Summer, the Center is staffed on an occasional basis. The Welcome Center also serves as the Administrative Offices of the Hazen's Notch Association. The Bear Paw Pond Area is where most of the HNA Summer Camp activities take place. This small 110-acre nature preserve is where you will find several Botany Trail loops. Maps and guides are available in the Trails Building located adjacent to the parking area.